Artificial intelligence covers everything from machine learning to business intelligence. Machine learning, in particular, has become a highly useful tool in our modern work environment. Machine learning, in short, means you can make machines learn from data and make decisions without explicitly telling them, what to do. Cyber security is one of the key domains, where machine learning is extremely helpful. Cyber security companies deal with a lot of data and high dimensionality of data. 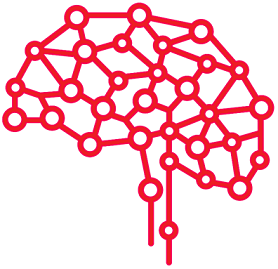 Machine learning is at its best in processing huge volumes of data, and processing data fast. Included in the Endpoint Detection and Response (EDR) service, F-Secure’s Broad Context DetectionTM uses real-time behavioral, reputational and big data analysis with machine learning to automatically place detections into context. It evaluates the risk levels, affected host criticality and the prevailing threat landscape to understand the scope of a targeted attack. Machine learning is an integral building block of the EDR service. It helps detect and respond to targeted attacks efficiently. Matti Aksela, F-Secure’s VP of Artificial Intelligence, describes the future role of a cyber security expert as a “Cyber Centaur”. This means combining the best sides of man and machine to protect customers better. According to Aksela, cyber criminals are most likely using AI as well. They might, for example, want to learn which phishing emails work best, how to hide inside the target network for months and how to automate their actions. Because AI is used on both sides, “the good” and “the bad”, it will be even more important that the man and the machine work together and learn from one another in the future, too. To make better cyber security solutions.